Dr. Henry M. Morris III holds four earned degrees, including a D.Min. from Luther Rice Seminary and the Presidents and Key Executives MBA from Pepperdine University. A former college professor, administrator, business executive, and senior pastor, Dr. Morris is an articulate and passionate speaker frequently invited to address church congregations, college assemblies, and national conferences. 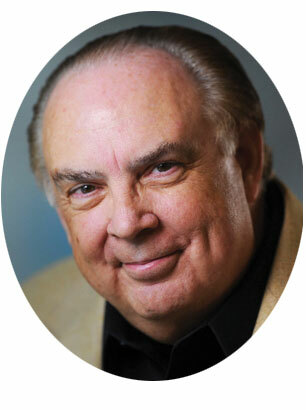 The eldest son of ICR's founder, Dr. Morris has served for many years in conference and writing ministry. His love for the Word of God and passion for Christian maturity, coupled with God's gift of teaching, have given Dr. Morris a broad and effective ministry over the years. He has authored numerous articles and books, including The Big Three: Major Events that Changed History Forever; Exploring the Evidence for Creation; 5 Reasons to Believe in Recent Creation; The Book of Beginnings; Pulling Down Strongholds: Achieving Spiritual Victory through Strategic Offense; A Firm Foundation: Devotional Insights to Help You Know, Believe, and Defend Truth; Six Days of Creation; Your Origins Matter; Unlocking the Mysteries of Genesis; and Places to Walk: Glorious Liberty of the Children of God. He is also a contributor to Guide to Creation Basics, Creation Basics & Beyond, Guide to the Universe, and Stand Fast: God’s Guidance for Kingdom Living. Follow Dr. Morris on his blog, Facebook, and Twitter. Click here for articles by Dr. Henry Morris III.